As ever, you’ll need to consume a Tincture of Queensfoil to be able to enter the portal. Petra Venj is in Rheasilvia this week, so head to her first to obtain the challenge, then head over to Harbinger’s Seclude. 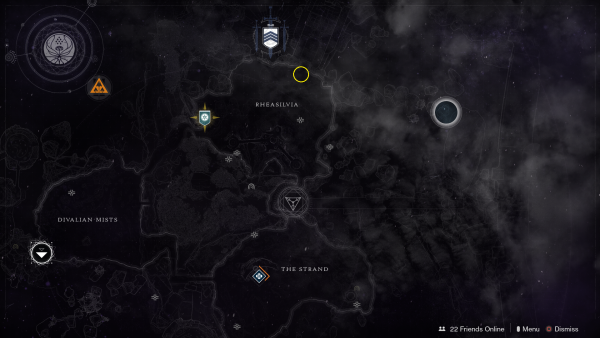 Once you’ve entered into the main area of Harbinger’s Seclude, turn left and keep going until you end up outside. You’ll see the portal floating above a large pillar, so your first task is to get up there. You’ll be transported to the Keep of Honed Edges, in the Ascendant Plane. As is the norm with most of these challenges, there’s a mixture of platform hopping and shooting enemies. The path is quite linear, so all you’re doing is jumping from one floating platform to the next until you reach a platform where a ritual is happening. Clear the enemies and once they’re dealt with, a waypoint marker will pop up over the central platform. There’s a relic sword for you to pick up that will activate the next part of the challenge. More enemies will appear which you can hack away at with your new sword. 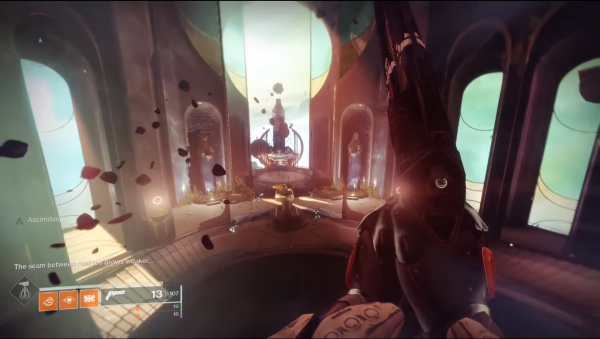 Defeat all the enemies and Toland’s orb will find you, guiding you to another platform-hopping section that is decidedly more challenging. Some of the platforms will crumble beneath you and you’ll need to watch for debris hitting you. Some of the platforms will have enemies on them, but it’s up to you if you want to fight them or jump away. You’ll eventually end up back where you started. For the chest to spawn, you must keep the sword equipped. Wouldn’t want you going through all that for no reward at the end, would we?